iTrack Dock is a comprehensive, studio-quality iPad recording interface that acts as the hub of your iPad recording studio. 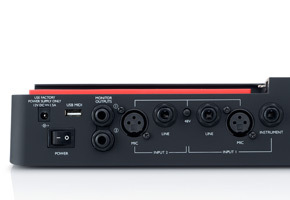 Featuring dual legendary Focusrite microphone preamps, along with two line inputs and an instrument DI with plenty of extra headroom, stereo monitor outputs with 105dB dynamic range plus independently-controlled headphone outputs, and a USB port for class compliant MIDI instruments and controllers, iTrack Dock gives you everything you need to record, monitor and control music on your iPad – with precision Focusrite digital conversion at up to 24-bit, 96kHz sampling. And at the same time it charges and powers your iPad. iTrack Dock’s sleek, modular design allows you to slide the Lightning connector up and down to accommodate any sized iPad. 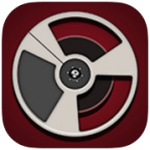 TAPE – What’s more, iTrack Dock comes with the free, easy to use “Tape by Focusrite” app for those looking to put ideas down quickly. Getting started is easy. Whichever Lightning iPad you have, just slide the connector on the iTrack Dock up or down to match the position of your iPad’s socket and plug in. The iPad sits perfectly in the iTrack Dock, at just the right angle, in line with and alongside the Dock’s raked control surface. Hooking up your gear is easy too. Simply plug in your microphones and guitars via XLR and Jack cables, while line inputs and monitor outputs to your speakers are carried over TRS cables. A standard USB cable connects your MIDI controller to the iTrack Dock, giving you instant “hands on” control of any assignable MIDI parameters.